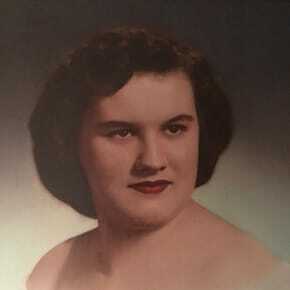 Sally Jo Sayre, 78, died March 23, 2017 in Gilbert, AZ; she was born on September 19, 1938 in Columbus, Ohio. She was preceded by her husband Charles “Chuck” Sayre. Survived by her son: Larry Sayre (fiancé Shirley) of Mesa, AZ; daughter Fawn (David) Gibson of WV; her niece Cindy (Chris) Gaylord of TN; numerous grandchildren and great grandchildren. A visitation to be held at 11 AM and Services at 11:30 AM, Tuesday, March 28, 2017 at The Church of Jesus Christ of Latter-day Saints, 2835 E. Des Moines in Mesa. Burial at Green Lawn Cemetery in Columbus, OH. Arrangements were entrusted to Bunker’s University Chapel.